The phenomenal success of Flappy Bird taught us all that sometimes all it takes to have good fun is a simple arcade-styled game that’s easy to play but impossible to master. 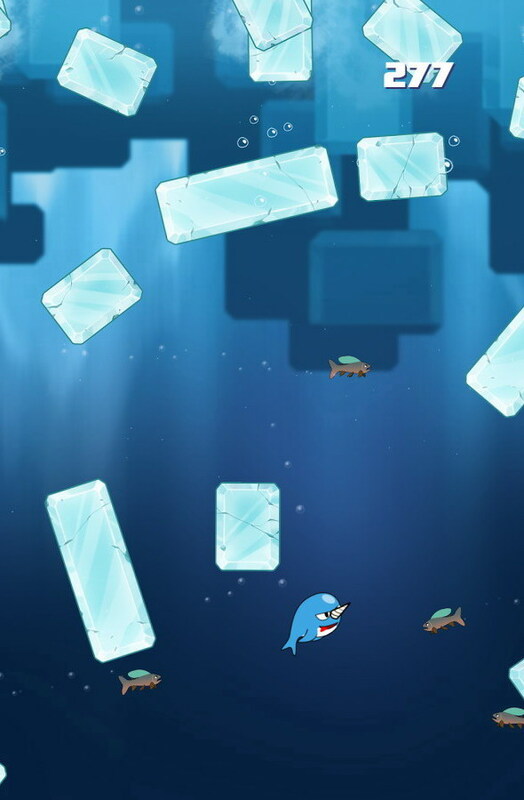 SuperVillain Studios’ pretty blue game Glacier Rush is designed with such simple mechanics in mind but mind you, it packs a jolly good punch. 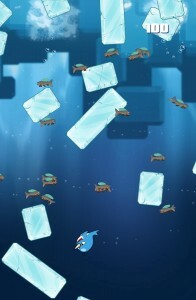 In the game you are entrusted with guiding a cute little hungry narwhal (a toothed whale) through the deep blue ocean to his feed whilst avoiding tumbling blocks of ice. 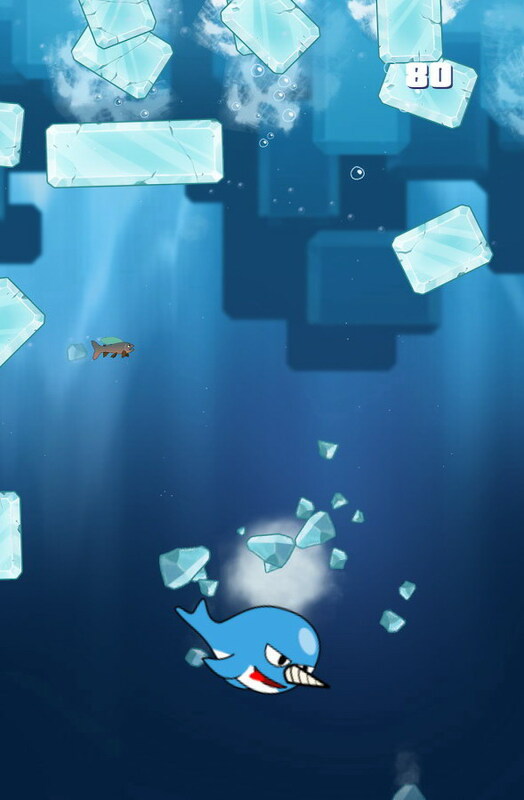 You drag your finger across the screen to move your narwhal or tap at a point to bring the whale to that point straightaway. Ice blocks keep tumbling down constantly and you must be reflexive enough to squeeze your narwhal through the gaps. The more fish your narwhal eats, the more points you score, and the more points you score, the better your chances for showing off to your friends. Glacier Rush even offers boosters to help you score more. The Fish Rush bonus fills your screen with loads of fish while the Ice Crush bonus lets you crush your way through the ice blocks. Glacier Rush isn’t too deep, but its got an addictive quality that you just can’t shake off. The game is available on the Play Store for the price of free. 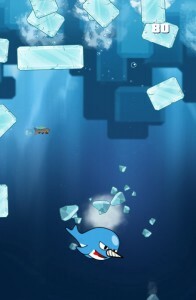 Do take it for a swim and tell us what you enjoyed about the game.